Q. 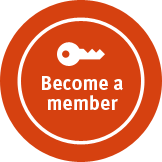 What do members say is the key reason for joining the FMI? 88% of our membership agree that meeting up with previous colleagues is a major benefit to them. Q. Could I get involved in organising a local event or be part of the FMI committee? Q. Is membership restricted just to those who have/are working in the Motor Industry Manufacturing sector? No, our members come from all sectors of the motor industry, PR, retail, aftermarket, tyres, petrol indeed from any direct service including motor cycles and HGVs. Q. Can I attend an event even if I’m not a member. No, if you are not a member you can only attend if you are invited by a current Fellow. Q. What percentage of the membership is not retired? Our recent survey indicates that approximately 15% are not retired, as our range of events diversifies we anticipate that the percentage will increase. Q. I am still working and can’t really afford time to enjoy the social gatherings, what can I hope to gain from membership? As time goes on we plan to introduce events which are more locally based so that members don’t have so far to travel, also our Classic Car Rally takes place at a weekend. (plan on this being an annual event). Fellows can still keep in touch through the Members Section of our website even if they are not able to meet up as regularly as they would like. Since 1935 the Fellowship has provided members with various opportunities each year for them to get together and spend time re-establishing old friendships with associates and colleagues. Until recently the calendar of events has consisted of a number of lunches throughout the UK, but we are now featuring a wider variety of activities responding to the requests and suggestions made by Fellows.